Feng Shui has been around in China for over 3000 years, and its popularity has spread to the western world. So what is it? The literal translation is Wind (Feng) and Water (Shui), both associated with the ideology of life’s essence. To some people, it’s a science that combines elements of ancient Chinese astrology, Buddhism, Taoism and Qi. Practitioners of Feng Shui are often employed to examine siting of buildings and interiors of homes and offices to give opinions about optimum design and arrangement of furniture, so that people using these places can maximise life’s positives and minimise negatives. There are tens of thousands of Feng Shui followers that rely on the advice from practitioners and would pay large sums of ‘good faith’ money which they believe as wise investment for their live’s fortune and wellbeing. It is so widespread that in many ways it has become a religion, except that there isn’t a fixed venue, such as a church, for worshippers to gather. And then there are people who view Feng Shui as a mythology that exists only for conman to extract money from the rich who attributes their wealth and health to ‘good’ Feng Shui. According to a well-known Feng Shui practitioner, K C Chan of Hong Kong, the Year of the Dog in 2018 is an important and fruitful year for those who were born in previous Year of the Dog (1934, 1946, 1958, 1970, 1982, 1994 and 2006). These predictions are based on the assumption that this group of people have ‘sowed’ their ‘seeds’ since the last Dog year, in terms of hard work or investment, will be reaping the rewards in abundance this year. Of course it is not only this group that will benefit, and this is where Feng Shui comes in. By harmonizing the energy through furniture directions and placements one is said to be able to benefit in life, or at least to avoid ‘bad luck’. Whatever the validity of Feng Shui is, one theory of it should be followed – declutter your house or workplace. It places emphasis on simplifying the placement of furniture and getting rid of unnecessary items that may ‘block’ the positive energy from entering in to your favour, as well as creating space for the rearrangement of furniture and plants according to advice given by practitioners. 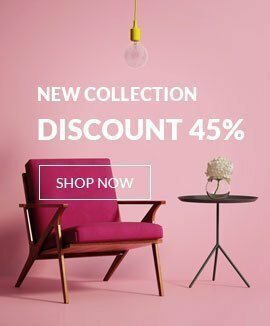 Whether you are a believer of Feng Shui or not, we at TheLivingDecor.com stock a wide range of Orolay multi-usage and space-saving designer furniture that helps you to declutter whilst making full use of available space inside your home and office. With free delivery and lowest price guarantee you can enhance your living with or without the energy Feng Shui may bring.